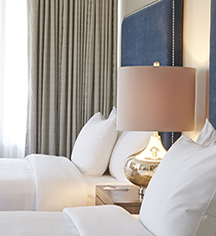 Each of the 108 guestrooms offer every modern comfort guests expect. Luxurious linens, a Keurig® coffeemaker, and an iHome dock ensure that comfort is paramount, while complimentary WiFi and an ergonomic desk allow work to move forward. 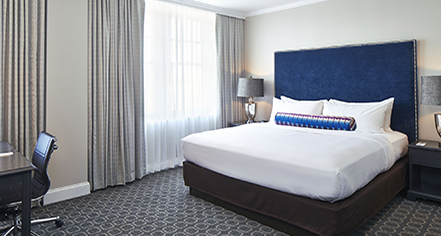 For additional room, the 12 one-bedroom suites, including the Presidential Suite, boast a recent renovation that has returned them to the height of the 1920's glamour. Timeless style is combined with modern comfort to ensure a perfect stay for each guest. The Drake Hotel, a charter member of Historic Hotels Worldwide since 2014, dates back to 1920.